The first half of the final season arrives Wednesday – marking the beginning of the end for a character making the most of a new start. Ellie Kemper on "Unbreakable Kimmy Schmidt"
In "Unbreakable Kimmy Schmidt," the visual gags can fly as fast and surreal as the dialogue. Case in point: The Uncle Sam-style poster of a glaring, pointing President Trump declaring, "You're a loser!" that popped up in last season's finale. The image, tacked to a police station wall, silently mocked Kimmy after she was unfairly rejected from her dream job as a school crossing guard. But Kimmy isn't only unbreakable – she's endlessly resilient amid a swirl of craziness largely out of her control. The unlikely comedy about a young woman's comeback after 15 years of captivity in a cult leader's underground bunker returns to Netflix Wednesday for the first half of its final season. Sure, Kimmy's life got off to a rough start. But she's determined to finish strong. Like the blink-and-you-miss-it Trump poster, “Unbreakable Kimmy Schmidt” doesn’t always draw as much attention as it deserves: The latest six episodes drop a day after Netflix's much-ballyhooed new season of "Arrested Development." Also like the Trump poster, the show’s rapid-fire comedy belies its layers – far more so than creators' Tina Fey and Robert Carlock's previous peripatetic hit, "30 Rock." The show excels in molding character from caricature. That goes not only for Kimmy, but for her offbeat support system: flighty actor Titus (Tituss Burgess), who lives a Stephon-like existence; life-hardened landlord Lillian (Carol Kane), who sees conspiracy everywhere; and clueless former socialite Jaclyn (Jane Krakowski), who, like, all the main players, is constantly reinventing herself. You could say the same for Fey and Carlock, who took a bizarre comedic premise and infused it with evolving humor and heart. The new season bring a new job for Kimmy, who now runs the human resources department at a socially inept nerd’s tech start-up. We last saw her at work, gleefully swimming in a kiddie ball pit. 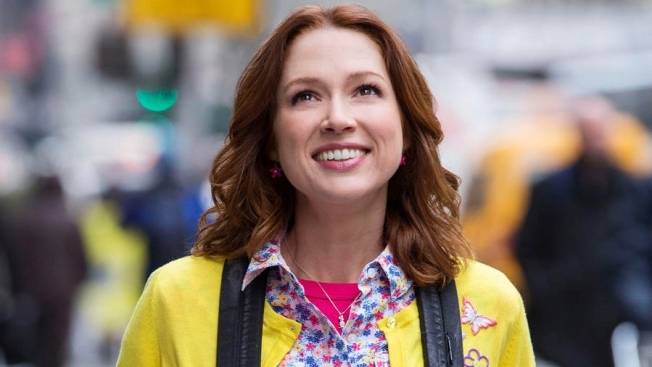 There’s a low bar to joy for Kimmy Schmidt in an uncertain world where her mere presence is a winning proposition, at least for one more season.